Pacific Rim Uprising will be released on digital on June 5th and on Blu-ray on June 19th. One of my lucky readers will win a combo pack of the movie! See below for details. • Hall of Heroes - John Boyega takes us through the awesome weaponry and cutting-edge enhancements of the latest generation of Jaegers featured in the film. 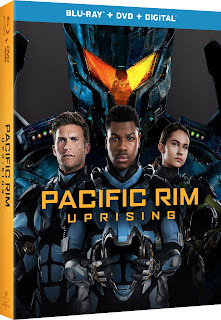 • Bridge to Uprising - The cast and crew discuss how the world of Pacific Rim has changed in the ten years since the events of the original film. • Becoming Cadets - Step into the Shatterdome, and learn the grueling physical and mental preparation required of the young actors who portrayed the PPDC cadets. • Unexpected Villain - Learn the secret reason that turned one of the most beloved heroes of the original film into a villain obsessed with humanity’s destruction. • Next Level Jaegers - The cast and crew discuss the amazing technological advances of the Jaeger program in the years since the events of the original film. • I Am Scrapper - Actress Cailee Spaeny shares the backstory of Scrapper, Amara’s incredible self-built Jaeger and its many unique abilities. • Going Mega - Filmmakers take us through the technical and creative challenges of creating the most deadly threat the Pan Pacific Defense Corp has ever faced: the Mega Kaiju! • Secrets of Shao - Meet the woman behind Shao Industries. Actress Tian Jing shares her insights on the enigmatic tech tycoon Liwen Shao. • Mako Returns - Actress Rinko Kikuchi and director Steven S. DeKnight explain the significance of Mako Mori’s return and her importance to the events of Pacific Rim Uprising. Enter via the widget below. 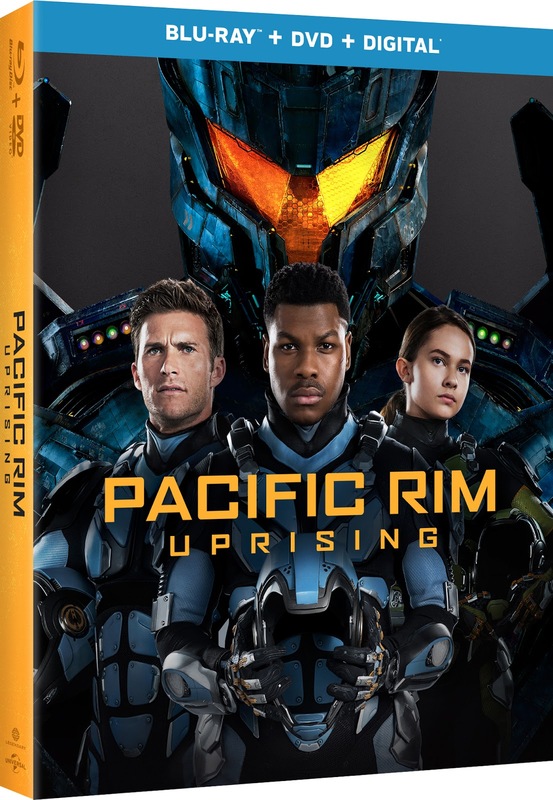 One of my readers will win a Blu-ray combo pack (Blu-ray + DVD + digital copy) of Pacific Rim Uprising. Giveaway will end on Sunday, June 3rd, at 11:59pm EST, and winner will be notified the next day via email, and have 24 hours to respond, or an alternate winner will be chosen.